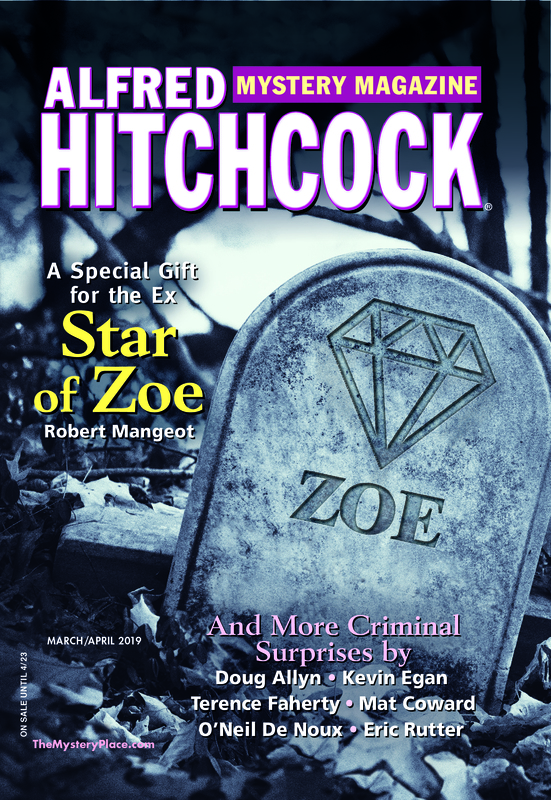 Alfred Hitchcock’s Mystery Magazine’s Booked & Printed columnist, Robert C. Hahn, passed a milestone recently with his 100th column. Here he shares his thoughts about the health of the mystery field. Starting with the January 2003 issue of AHMM and reaching to the July/August 2014 issue, I have written over a hundred columns covering roughly 350 books for this iconic magazine. It has been, and remains, a pleasure. Over the past 25 years I have reviewed well over 2,000 books, primarily mystery and suspense, for AHMM, Publishers Weekly, the now defunct Cincinnati Post, and other publications. The advent of e-books has opened the doors for many new authors to be published and reach an audience effectively ending the monopoly print publishers had on the gateway to publishing success. While big publishers continue to market bestsellers and create new bestselling authors, a growing number of niche publishers are giving new authors a start and allowing them to build impressive backlists. One of the saddest developments has been the emphasis on big sales that led to many so-called mid-list authors being dropped by the houses that had published them. Thankfully, some niche publishers have discovered that these authors often have devoted followings, which make for dependable, if not spectacular, sales, and they have picked up some of the slack. Some changes have been obvious: the plethora of new and expanded roles for women in all areas of the genre, the supplanting of the USSR as the major enemy for thriller heroes to tackle, to name a few. The number of quality mysteries from foreign countries (other than the United Kingdom) has greatly increased, introducing American audiences to a host of memorable sleuths from Scandinavia, Thailand, Italy, Greece, etc. Geriatric detectives are no longer an oddity as our population continues to age and remain productive so too to the sleuths who are solving crimes. My respect for authors has grown, rather than lessened, through this experience, but at the same time my expectations have grown as well. The diversity of types of mysteries within the genre is amazing but so is the depth. If a reader wished to limit his (or her) reading to just historical mysteries, or just cozies, or just procedurals, he could do so and still have a wealth of choices. And in spite of the sheer numbers of new titles being published, the imagination of today’s authors manages to keep coming up with new variations, new twists, new ways of making the old seem new again. The difficulty for readers is finding a way to separate wheat from chaff, to find gold, not fool’s gold. Among the tools readers can use for that task are publications like AHMM and EQMM, where readers can be exposed to many authors each issue as well as offering critical reviews of new publications. Likewise the excellent annual anthologies sponsored by the Mystery Writers of America and the Year’s Best Mystery series edited by Otto Penzler are an excellent way to discover new favorites.